Don't have a cow, man! 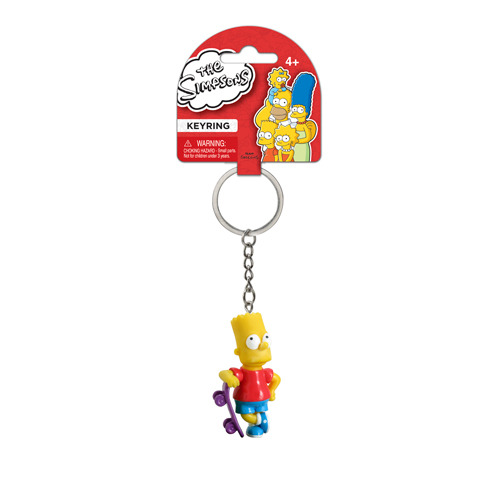 It's none other than the mischievous son of the Simpsons family in awesome mini-figure key chain form, Bart Simpson! If you're a fan of the long-running cartoon TV series, The Simpsons, from Fox, then you're not going to want to miss out on The Simpsons Bart with Skateboard 3-D Mini-Figure Key Chain. He looks like he just came right out of the show! Figure measures 2 3/4-inches tall. Ages 4 and up.